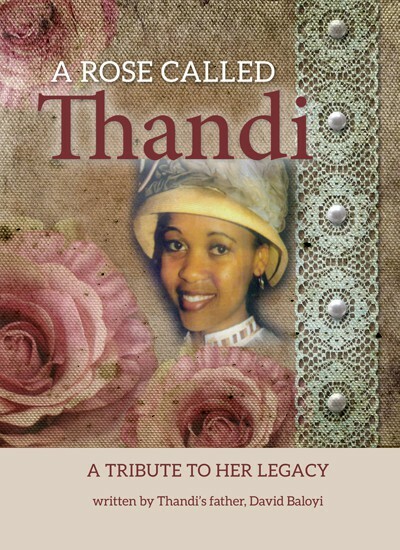 A Rose called Thandi: A tribute to her Legacy is a mind capturing booklet and not a long boring biography but a motivational epitome based on the exceptional way she lived. She started from humble beginnings, An Alter Server, a young soldier of Christ (Lesolenyana), to Catholic youth Organisations. Realized the value of a diary at an early age. Most youth never use diaries, their time is managed by, parents, teachers, friends and recently by cell phones. Wrote challenges, goals, personal qualities and conducted a SWOT. Also wrote norms, values, mission, and vision in her diary. Concluded with an Oath, binding herself to reach set objectives or suffer challenges of a junior worker. She then experimented with her life, writing results, positive or negative, capturing everything, a gesture from a priest to being swept across the face by a boyfriend. These were followed by letters of appreciation or regrets. These are captured in Part One: You can read these, and reflect on Original copies in Part Three. She indeed left a Legacy to guide all of us, especially youth and parents.